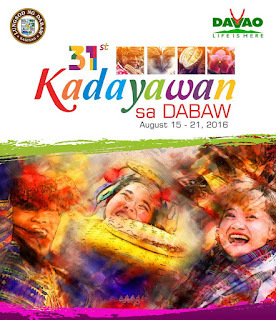 Kadayawan sa Davao is on its 31st celebration in Davao City. Yes, the most festive and colorful festival in Davao City is again in celebration of abundance and culture of people residing the city. 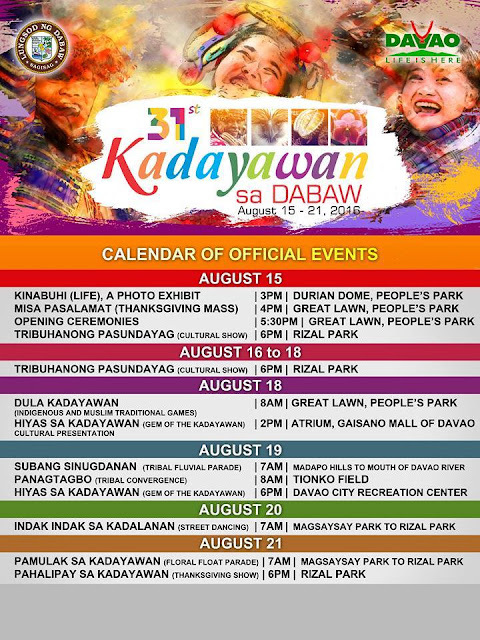 The ten (10) tribes of Davao City is to be remembered during this celebration and thanksgiving of abundant harvest is what Kadayawan essentially is about. Originally, this celebration is called APODUWALING, in which, the celebration emphasizes the royalties of Davao: King of all mountains in the Philippines - Mt. Apo; King of all fruits in the Philippines - Durian; and Queen of all flowers in the Philippines - Waling-waling. 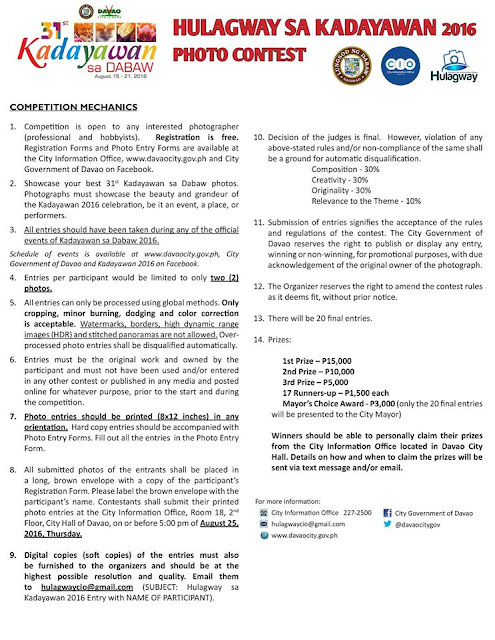 Now, it is known the Kadayawan which has gotten its name from the Mandaya term for beautiful, which is, "madayaw". This is a very beautiful celebration of life! Since, in Davao City: Life is Here! This year's Kadayawan sa Dabaw will surely be a spectacular event. There are other activities during the celebration that the private sector arranged. There will be some street party and city-wide mall sale. If only I can go home to participate in the celebration, yet I am one in spirit with this very beautiful celebration in the southern part of the Philippines! Madayaw! Enjoy the Kadayawan sa Dabaw 2016!